The Bachelor of Digital Cinema programme aims to train students and professionals in the area of cinema production, focusing on the creative process and using state-of-the-art standards of digital technology. Students are introduced to the three main areas of digital cinema production: Documentary, Fiction and Visual Effects. The programme trains students in different genres and techniques of film production including: documentary, advertisement, fiction and animation production; professional camera/photography work; script writing for short-to-long films in different genres; image post-production using digital technology; sound design and film music production. In Macao and the Pearl River Delta, there is a consistent influx of University students pursuing media-related education with preference for audio-visual production that meets the global market demand for professionals in this area. Students are trained to create cinematic audiovisual content corresponding to a standard of quality and high-level aesthetic style, which is fundamental to the film industry, and is also in high demand in the areas of Marketing, Communication, Media and Creative Industries. The Faculty of Creative Industries integrates some of the most successful programmes of our university, included in the Departments of Design, Architecture, Communication and Media. Some of our programmes, such as Architecture and Fashion Design, are unique within the higher education system of Macau and this is also the case of the Digital Cinema Program, which is the first of its kind in Macau. Above all, the integration of each these areas within the same faculty provides a unique multidisciplinary community in which students have access to exceptional education opportunities and a work environment that allows them to explore their abilities to the highest international standards. The Bachelor of Digital Cinema programme (BDC) is also inline with the strategic subsectors of the Creative industries Development, proposed by the Macau Cultural Institute and the Creative industries fund of the Macau SAR. The development of the curriculum for this program resulted from the efforts of a multidisciplinary team that includes members of the Faculty of Creative Industries, as well as members from other Faculties at USJ (Business and Humanities) and the collaboration of experienced Faculty members from our partner Catholic University of Portugal, namely the Sound and Image Department of the School of Arts. A Digital Cinema Bachelor Programme in Macau will positively reshape the quality of the digital Audiovisual environment of our social environment. "This course introduces students to project management concepts and methodologies with a focus on communication & media, design, and architecture projects. The course is intended to be practice oriented and is intended to develop skills and competencies for becoming effective project managers. • Reporting and documentation strategies." Recording and Sound Design is an introductory course to the art and science of sound recording and sound design for cinema, mixing both theory and practice. The theoretical part of the module will include a survey of the classic techniques for sound design in cinema and the fundamentals of audio engineering and acoustics. The practical side of the module will focus on the fundamentals of sound recording, both in studio and on-location, with an emphasis on film sound techniques, such as voice-over, dialogs (boom vs clip-on recording), foleys and field recording. Additionally, students will learn the basics of sound editing and mixing, working with an industry-standard Digital Audio Workstation (DAW). "This module provides students an introduction to the major positions and issues in documentary film theory and grammar. Moreover, it will stress the core theories that frame the field of visual culture studies with a special emphasizes on understanding the relation bewtween the early days of film and contemporary non-fiction cinema. Since the 1970s, film scholars have developed and shaped a range of compelling critical methods for the study of media texts and its grammar. By the end of this module, students will achieve solid grounding in the study of documentary cinema: the fundamental vocabulary of the discipline and the elements of film and style. Moreover, this module will address the key figures, movements, and theories of documentary cinema. Along with critical methodologies for close analysis of filmic texts and to ways of writing about film. These critical methods require consistent and informed reassessment to remain as visible and engaged ways of thinking about film grammar and other media texts. • During the course students will research, write and develop all the pre-production of a documentary project which will be produced on the program Production of Documentary Cinema." Video Editing is designed to promote positive learning experiences while teaching the editing techniques of cinematography. The course is designed to involve students in the technological environment of video editing processes. It is a practical course that aims to involve active participation of the students working under time constraints of editing deadlines for video production. Students will learn how to create a final movie sequence in Final Cut Pro and Adobe Premiere. They will learn the main elements of the editing process (Trimming, Cuting, Framing), the importance of the sound and the meaning of rhythm and pace in the edit. The class will provide practical knowledge for the student as well as problem solving skills, teamwork, and showcase creativity. At the end of this course it is expected that students understand the workflow process of editing. "The principal objective is to produce documentaries written and developed during the program Pre-Production of Documentary Cinema. • Directing and producing documentary. • Filming documentary: composition, camera movement and cinematography. • Narrative construction: editing image and sound for representing reality. • Marketing and distribution: film festivals and television and other means for exhibition." "The narrative meaning making decisions addressed to the viewer in Documentary Cinema scope comprehend the essential process of accomplishing the cinematic representation and vision at visual media post-production stage. Therefore, this course provides students both applied skills and critical knowledge through the essential editing process at visual media post-production stage. • Delivery of the digital master. This module, thus, provides students a converged understanding of post-production workflow, editing and interface, along with color correction major concepts. " Provide the conceptual tools capable to potentiate the exercise of a critical and informed reflection that having as first object the creation and reception of works of art. Contact with a thematic path historically oriented, which runs through the thinking of some of the main agents of aesthetic reflection of the past and the contemporary, the East and West. Enhance critical autonomy and internalization of intrinsic interdependence between the production dimension and artistic production and conceptual discourse. The interdependence between the privileged world of representations for a given epoch, culture or artist, and how art is conceived, produced and experienced. This unit provides students with an introduction to fundamental techniques and instruments in the art of scriptwriting and storyboarding. In this course, firstly, we will learn the crucial elements and techniques that constitute the art of storytelling in cinema such as the development of a synapse, an outline, a treatment and the formatting and production of a screenplay in accordance with the guidelines of the cinema’s industry. Secondly, we will also develop skills to produce professional storyboards in order to translate visually the written content of a script into specific images and creative intentions for composition, camera movement and cinematography. "This module provides students an introduction to the major positions and issues in fiction film theory and grammar. Moreover, it will stress the core theories that frame the field of visual culture studies with a special emphasizes on understanding the relation between the early days of film and contemporary cinema. Since the 1970s, film scholars have developed and shaped a range of compelling critical methods for the study of media texts and its grammar. By the end of this module, students will achieve solid grounding in the study of fiction cinema: the fundamental vocabulary of the discipline and the elements of film and style. Moreover, this module will address the key figures, movements, and theories of fiction cinema. Along with critical methodologies for close analysis of filmic texts and to ways of writing about film. These critical methods require consistent and informed reassessment to remain as visible and engaged ways of thinking about film grammar and other media texts. "This module provides students the theory fundamentals and formal aspects of story outline, structure and character, which are essential to all forms of screenwriting, namely fiction film. Along the lectures, students will examine each step of the screenwriting process: from the initial premise through character exploration and treatments, to writing the first draft. By the end of this module, students will be able to develop their own scripts achieving solid grounding knowledge skills on fiction film pre-production stage. Likewise, students will be ready to take it into the next stage of post-production and distribution." Directing and Casting Actors is a module dedicated to explore the processes and techniques involved in choosing the best actors and actresses for a certain role (part) in a movie and how to optimize their performance according to the script and director’s intentions. The module addresses the fundamentals of acting theory introducing a broad range of pioneering theoretical approaches, all of which questioning the fundamental conceptions of “act” and “actor” that support both popular and academic notions of performance in moving image culture. The module will also make use of practical exercises and inter-subject curricular projects to apply the theoretical concepts. This course is a theoretical introduction to the art and craft of motion pictures photography. Specifically, the course is designed to cover the essential principles, concepts, and tools employed by cinematographers in their quest to bring the Director´s cinematic vision to the screen. "This module provides students an introduction to the major principles and practices of single-camera field production. The students will work in small production crews to achieve hands-on experience in planning and filming the script previously developed and produced in pre-production stage. Therefore, by the end of this module, students will achieve solid grounding in the field of fiction film production. The students will be able to think and develop different storytelling conventions within the scope of narrative digital filmmaking. " "Post-production is the essential process of completing digital cinema production, which comprehends editing; mise-en-scène and sound; narrative; genre; and theoretical frames. Within the scope of narrative and cinematic representation, this course provides students both applied skills and critical knowledge through the essential editing process at visual media post-production stage. "The “world cinema” grounded the seeds for national cinemas abroad Hollywood. Within the global cinema framework at the turn of twenty first century, History of Asian Cinema module delivers an introduction to the major positions and issues on the East Asian Contemporary Cinema: Chinese, Japanese, and Korean cinemas. While film production methods have witnessed dramatic shift in the last decade, contemporary film technique finds many threads back to approaches developed throughout the history of film. Furthermore, this module aims to provide the skills that will make students able to contextualize, through analysis and re-examination of the major areas of East Asian film history, likewise film theory and criticism. In this course, we aimed analyzing the concepts of culture, showing the field of cultural anthropology in their epistemological purposes, topics and research practices. Special attention is given to issues of human, biological and cultural diversity in understanding the relationships between different social groups today. Training and analysis of various ethnographic examples from around the World, with a special focus on Southeast Asia and mainly on China, will provide students a framework for reading the global world in which we live in. "The objective of this module is to enable the student to be a creator with CGI (Computer Graphics Imagery) tools. In 3D Modelling and Animation the students are given the basic knowledge of the most advanced tools today in digital animation creation, and are taught on the most efficient way to use them according to a real life production pipeline. They will learn the typical pipeline, starting in modeling simple objects, texturing them, and create all the appropriate steps and tasks to generate a basic CGI animation inside Autodesk Maya, Mudbox, and supporting tools." "This program was developed to deepen the understanding and practice of the art of scriptwriting. The main objetive is to consolidate theory and practice of all the stages involved in the creation of a film narative: from the original idea to the final screenplay. Thus, we will focus on learning about film narrative’s most important elements such as space, time, characters, settings, actions, narration, structure and point of view. • Developing specific skills to write precise and strong synopsis, treatments, characters’ descriptions, dialogues and argument. The goal of this module is to give students the skills and tools needed in a pre-production for animation or VFX projects. They will understand the role of pre-production, its internal stages, and the importance of pre-planning. They will learn about storyboard, layouts, animatic, scheduling and planning, script, camera basics, scene measurements, good and bad practices, and the technicalities and professional terms needed in real-life scenarios of pre-production. "This course explores two-dimensional composition by applying visual elements and design principles. Visual composition plays an important role in content creation industry especially for film, video, animation and visual effects production to organize and integrate pictorial information from multiple sources into a single, seamless whole. This subject teaches both the “know-why” and the “know-how” of digital composition from basic visual structure principles to practical application in visual representation. From this course, students will learn how to use appropriate techniques and principles for representation of pictorial information. • What is Visual Composition Theory? • Value Compositions / Color Compositions"
Motion Graphics and Compositing is a module whose main focus is learning animated graphic composition, videographic computer animation and advanced visual effects for film and animation. This module aims to teach methodologies and modes of applying advanced animation techniques for visual and sound effects. Its content focuses in depth on the study of kinetic pictures and typography as the use of text as meaning and aesthetic language. Students will learn how to apply motion graphics and compositing for video and film in Motion (Apple), and After Effects (Adobe). They will learn the main elements of Motion and Compositing (Keyframing; Interpolating; Creating generators, automatic behaviours; and particle Emitters; Keying; Stereoscoping). At the end of this module it is expected that student understands and knows all the workflow process of motion graphics and compositing. "The objective of this module is to prepare the student to create all stages of a standard visual effects integrated in a live action production. He will learn the stages of Matchmoving a scene, create the 3D models and animation for it, recreate the lighting based on the live action scenarios, and be able to render for later compositing without problems. It will also be taught how to move around the VFX pipeline and its multiple softwares, how to use the best export and import formats, how to plan and structure data, and how to make the best with the time given and within budget. "In this module students will learn the skills needed for VFX post-production. They will start by understanding the multi-channel system of rendering image sequences in computer graphics softwares, as well as the role of 16 and 32 bits uncompressed images, and the importance of linear color space. They will also understand how to do digital compositing and color grading and correction inside Nuke, and how to export it correctly to a video editing software. They will learn how to work with masks and other important tools in compositing. "This course introduces the sociological perspective, distinguishing it from the common sense and discourse through a deconstructive and critical approach towards the social phenomena, with a specific emphasis on media arts such as cinematography. Therefore, the module aims to familiarize students with main sociological concepts and theories - socialization, stratification, inequality, identity and culture - which are centrally positioned among the individual-groups binomial. In this context, current key social phenomena are approached through a sociological lens, where the main concepts are intertwined with the agency/structure debate, which presents an ongoing critical challenge to the portrayal of these social phenomena in media arts, such as digital cinema. Consequently, by fostering an analytical stance towards current key social phenomena, the sociological perspective presents an added value for the creation and production of digital cinema in contemporary societies. As the deconstructive and critical approach allows the recognition and exploration of multiple viewpoints towards the social construction of reality, it becomes increasingly important to incorporate a strong ethical perspective. Accordingly, ethical principles and procedures inherent to the development of social research are discussed, in order to highlight the possibilities of their transposition and adaptation to the specific context of creation and production of digital cinema. "This Module introduces Students to tools and methodologies to think and generate Business Models that could be validated by potential Clients that should be discovered and developed. Advanced Sound and Music Production module addresses the use of advanced techniques for sound and music production, such as multi-track recording, surround mixing for music and cinema, audio layering, parallel compression, track automation, music and SFX composition using virtual instruments, etc. It is a practice base module, where the core knowledge regarding the art and science of sound and music production will be conveyed to the students along with the development of hands-on exercises and practical curricular projects. To enroll in this course, students should have intermediate knowledge in sound production (recording and editing) using standard digital work stations (DAW). This module is the first stage of the students final projects. Students will learn how to develop their final projects, from the research and development for their production to the logistic and organization of the shootings. They will research, write and develop all the pre-production stages that will be produced on the following modules. This course will also provide the students with the knowledge and skills to negotiate and manage relationships with the director and the crew, find solutions to budgeting and scheduling concerns, and develop marketing strategies to their final project. Some of the majors topics in this module will focus on leadership and communication, negotiation and fundraising, budgeting film projects, managing production and post-production, publicity and marketing for film and documentary. Students will be asked to work and their production and distribution strategies plans for their final project. This course offers an explanation of what intellectual property is and what it does. It further offers an overview of the IP system starting with the implied bargains that the State makes with inventors, entrepreneurs and creative individuals. In addition it explains the policy issues behind the creation of intellectual property law. Departing from the principles and sources of international IP law, the course outlines the intellectual property system, the WTO agreement, TRIPS, the cornerstone treaties and their implementation into national law in relation to MSAR, with a particular reference to the CPLP member States. It explores the specific means of protecting brands, designs, technology and creative works. The design of the learning experience has specifically been prepared to cover patents, trademarks, and copyrights. This module provides students with an opportunity for learning advanced visual effects and animation techniques for film and video. Students will learn ambitious, advanced and original animation and visual effect tasks for film visual effects and computer animation through practical learning and close supervising, independent research and development of professional projects. This module also allows students to work on individual own area of expertise and interest, focusing on developing advanced animation and visual effects techniques. Students will learn how to apply advanced motion graphics and compositing for video and film in NUKE (The Foundry), a VFX node-based software. At the end of this module it is expected that student knows the professional workflow process of advanced motion graphics and compositing for film and computer animation. This module aims to take students through their journey in producing their Final Projects, written and developed during the module of Pre-production of Digital Cinema for Graduate Project. The main objective is to provide students with the best knowledge, skills and experience to produce their final documentary/fiction short film. 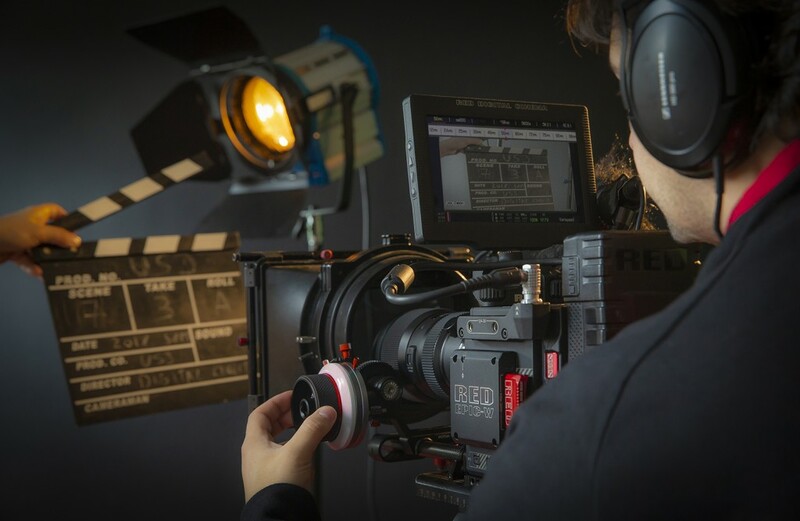 By the end of this module, students have taken a film or documentary from initial concept through the script stage all the way to the production. Another important focus is to understand the importance of the collaborative process with writers, as well as the production and director teams. Major topics include drafting, set design, budgeting, construction, aging, directing – students will work in groups to produce their own design sets and perform a variety of artistic and practical tasks. At the end of this module it is expected that the production stage is completed and all the footages are prepared and formatted for the next stage of post-production. This course is the third stage of the final projects where all post elements of student’s projects need to be completed. In this module, students learn the creative influence that post-production provides the filmmaker in the following areas: picture editing, visual effects, title sequence, credit roll, post sound editing, sound mixing, music composition and drop, and colour correction. Emphasis goes on the overall post-production process and the larger creative decisions necessary in these areas. Hands-on with non-linear editing software will lead the student to create and properly edit this final project in one of the three areas of the Digital Cinema Bachelor program: Documentary, Fiction or CGI. Students will post-product their own projects individually or in groups developing an intense exploration on editing practice and aesthetics for the cut. Using footages from the audiovisual projects they produced, students must apply editing concepts in a valuable and professional way, until the final cut (and using visual effects editing, colour correction, tilling, sound design, etc). Students will augment the editing knowledge and experience gained from the previous modules. It is expected that students properly finish, deliver and present their final output. "Through a fast paced, highly interactive module designed, this will provide students an introduction to all aspects of movie marketing, focusing on business decisions with the goal of developing a competitive advantage for a film’s theatrical life and beyond. In Marketing and Promotion in Cinema will be analyzed a range of movies, from low-budget independent to tent pole film franchises, and explore concepts, processes and different strategic approaches utilized by today’s distributors, available resources both traditional and emerging.